Our mission at Innate Chiropractic & Wellness Centre is to honor everyone’s innate capacity to heal and be healthy. We provide quality chiropractic care and restore spinal and nervous system function. We are passionate about helping women make healthy, natural choices for their pregnancy and family. Our vision is an empowered community helping each other lead a healthier lifestyle. 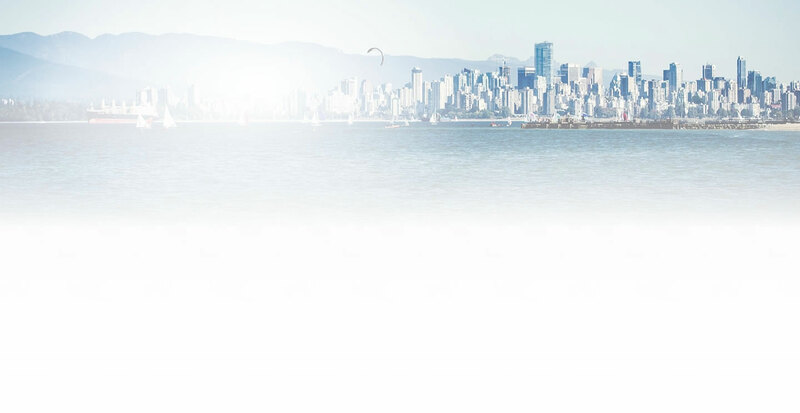 Kitsilano chiropractor, Dr. Rozeela Nand encompasses the World Health Organization’s definition of Health: a state of mental, emotional, physical, and spiritual well-being and not just the absence of symptoms. This is why at Innate Chiropractic & Wellness Centre all aspects of your health will be examined and a care plan that includes spinal adjustments, nutritional counseling, home exercises, ergonomic analysis and ongoing education will be given. Our goal is to focus on all of these areas and get you functioning at your optimal level so you can live your life to the fullest. Much of the focus in our practice is on families. We encourage ALL members of your family to reap the benefits of natural chiropractic health care. Regardless of who you are and what you do, you deserve to be active and pain-free! At Innate Chiropractic & Wellness Centre we are dedicated to finding the underlying cause of your health problem and preventing future injuries. We will address your symptoms, facilitate healing and help prevent future injuries. Our goal is to help you maintain your good health through lifestyle and nutritional counseling, home exercises, orthotics, spinal adjustments, ergonomic analysis and ongoing education. Even if you have a difficult or challenging problem, you can count on Dr. Nand to get to the bottom of it. “I can help you. If further treatment modalities are needed, I have a wide network of experienced natural healthcare practitioners that can bridge the gap.” Call today or visit our conveniently located practice in the heart of Kitsilano where we thrive on the natural beauty of Vancouver’s mountains as we work at helping you heal. We’d love to hear from you! Check out our events page for more information about all that is happening at Innate Chiropractic & Wellness Centre! I appreciated Dr. Nand’s help very much. I noticed immediate relief with the first treatment. Thank you for that and for your suggestions to maintain good health! Dr. Nand is very knowledgeable and personable, making you feel completely comfortable. I thoroughly recommend her. Amazing! Great with babies and makes us feel extremely comfortable. My body feels great! I started chiropractic care 6 years ago because of pain in my arms and lower back. After two visits the shooting pains in my arms stopped and my low back felt stable and secure. I also felt stronger in my core muscles. Chiropractic care has helped me get to know my body. I can feel when I am misaligned. I tell people it’s like yoga. You wouldn’t just go to one yoga class and think you’re fully stretched! Thank you! I’m confident my overall health will be better! Chiropractic care has definitely improved my life, and has helped reduce pain and tension — making life much more enjoyable! I would definitely definitely recommend chiropractic care to friends and family, and I already have in the past! It definitely improves quality of life. 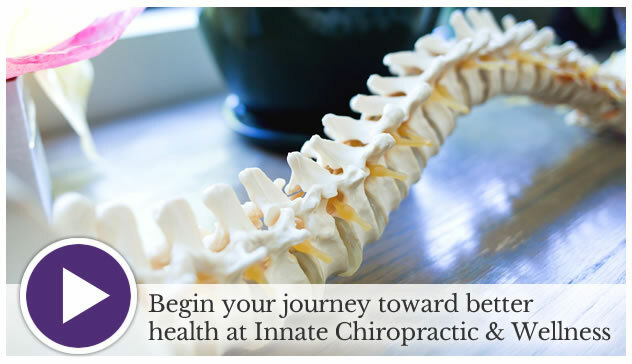 The treatments have helped me, and I always feel welcome at Innate Chiropractic and Wellness Centre. 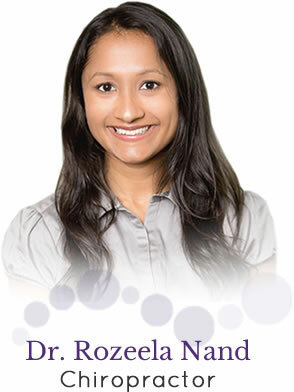 Dr. Nand is very knowledgeable and friendly, and she genuinely cares about her patients. Chiropractic care has improved my life very much. I have more flexibility, energy and power. If family or friends asked me about chiropractic care I would tell them to definitely try it out! What has pleased me the most about Dr. Nand is her skill, positive energy and chiropractic technique. Over all my experience at Innate Chiropractic & Wellness Centre has been great! Dr Band and her receptionist made me feel like they really cared about me as an individual patient and I was inspired to hope that chiropractic treatment by doctor Band is gonna be the answer to many of my injuries and ailments, fingers crossed she can follow through! I am from New York and my Girlfriend recommended this place to me when I came to visit. Had an amazing experience. The staff was great and very professional. I will definitely recommend and visit them again. Two thumbs up! !